One of the most brilliant choices for fashion-forward ring seekers, radiant cut diamonds make for a gorgeous center stone option for any designer engagement ring. A stunning mixture of emerald, brilliant, and radiant shaped stones, radiant cut diamonds bring an extreme level of natural sparkle to the hand of any bride-to-be. 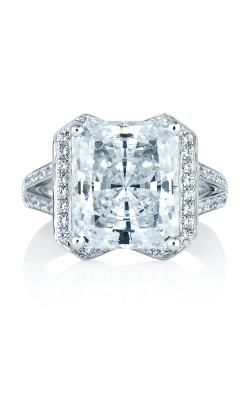 As an authorized retailer of some of today’s most popular bridal jewelry designers, Medawar Jewelers is proud to be Michigan’s premier source for radiant cut engagement rings of all styles and fashions. 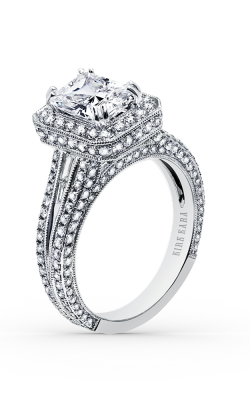 Including halo, side stone, and three stone pieces made of 18-karat gold and platinum, finding the perfect radiant cut engagement ring is easy at Medawar Jewelers. With locations in West Lansing, Portage, Brighton, Okemos, and Jackson, Michigan, Medawar Jewelers is a trusted source of both radiant cut loose diamonds, as well as unique designer engagement rings. 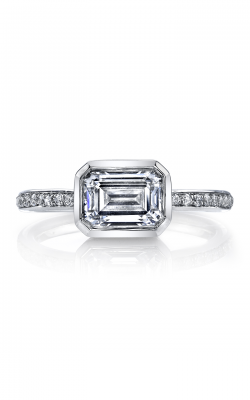 Popular radiant engagement rings collections available now at Medawar Jewelers include the vintage-inspired pieces that comprise the breathtaking Art Deco and Classics collections from the New York-based designers of A. Jaffe. Additionally, perfect for brides-to-be searching for a ring of beauty and elegance, the radiant cut rings of Kirk Kara’s Carmella and Charlotte collection, as well as Y.O.U.’s immaculate ring lines are a sure-fire hit. For women searching for even more radiant cut diamond engagement rings, the experienced bridal staff of Medawar Jewelers also proudly offers dazzling pieces from Parade, Mars, and Danhov. Firstly, from the Lyria and Speira collections from Parade are pieces adorned with playful mélanges of flowers and Art Nouveau-era sophistication, as well as the rings of Danhov’s Carezza Collection that feature platinum and 18-karat white gold that complements the inner fire of any radiant cut diamond center stone. With hundreds of GIA-certified diamonds available today, Medawar Jewelers is sure to have the perfect radiant cut diamond for any designer-made engagement ring. Located in Okemos, West Lansing, Portage, Jackson, and Brighton, Medawar Jewelers offers an amazing selection of engagement rings, wedding bands, Swiss-quality timepieces, earrings, bracelets, and fashion rings. Additionally, Medawar Jewelers offers invaluable services to its customers, including gold and diamond buying, jewelry repair to keep your heirloom pieces in top condition, and the opportunity to work with in-house designers to create the one-of-a-kind piece of your dreams!